MailPak is a marketing company dedicated to the door-to-door distribution industry. MailPak's mission is to unite door-to-door distributors across the USA to form a single source for print media marketing. 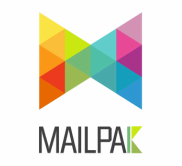 Mailpak's local services include the distribution of subscription based newspapers as well as the MailPak, a poly-sealed package containing popular community magazines, local circulars and other marketing material.